The Auckland Medical Research Foundation has announced its latest round of grants, with several innovative projects funded in the Centre for Brain Research. 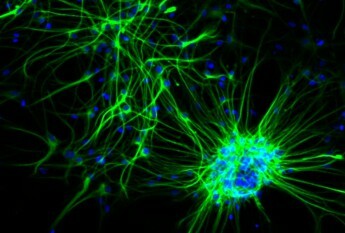 The research will help to develop new treatments for Huntington’s disease, obesity, visual defects, and hearing loss. All neurodegenerative diseases have direct or indirect effects on synapses in the brain. Therefore a major step towards understanding what goes wrong in the diseased brain is to understand how synapse function is altered by disease. In this proposal we seek to determine the source of synapse dysfunction in Huntingtonâs Disease (HD). Previous work on HD mouse models has shown that receptors on the surface of neurons are mis-localised, inducing changes in synapse function. Here we will focus on two synaptic proteins, bSAP97 and aSAP97, which we have recently shown can control the distribution of receptors on neurons (Li et al., 2011, J. Physiology 589, 4491-4510). We will utilise a cellular and an animal model of HD to determine whether changing the expression levels of bSAP97 or aSAP97 can rescue normal receptor distribution, and whether this subsequently rescues normal synapse function. These cellular data will identify whether a and/or bSAP97 are part of the pathological signature for HD and also whether they could be potential therapeutic targets. Newborn babies commonly experience low blood sugar, a condition known as neonatal hypoglycaemia. As glucose is the brain’s main energy source, this condition may impair neurological function, however, at present, very little is known about the effect of neonatal hypoglycaemia on brain development. As a consequence, the level of neonatal hypoglycaemia that requires treatment in early infancy is currently unknown. This PhD project forms part of a large multidisciplinary study known as the Children with Hypoglycemia and their Later Development (the CHYLD study) which aims to assess the developmental effects of neonatal hypoglycaemia in a cohort of 500 children whose blood glucose levels were measured continuously for several days after birth. The aim of this specific project is to assess visual function in these children at the ages of 2 and 4.5 years. Vision is of particular interest as neonatal hypoglycaemia may preferentially affect visual brain areas. The assessments include a range of vision tests targeting specific regions of the visual cortex and will therefore provide new insights into the effect of neonatal hypoglycaemia on the rate and extent of visual cortex development. The study will also provide important information regarding the treatment and management of hypoglycaemia in newborns. Stress, weight gain and glucose metabolism are influenced by a group of hormones called melanocortin peptides. These peptides comprise chains of amino acids, of varying length, and are derived from one large precursor protein found in the brain and pituitary gland, called proopiomelanocortin (POMC). Special enzymes chop-up POMC to form the melanocortin peptides, according to the bodyâs requirement. We have developed a mouse that lacks a particular 13 amino acid melanocortin peptide called adrenocorticotropic hormone (ACTH1-13). These mice can be used to study what effects of ACTH1-13 on physiological function. The mice appear normal until they reach puberty and then they develop obesity, but not diabetes. Treatment of these obese mice with ACTH1-13 or a natural variant that is slightly chemically altered, called -melanocyte stimulating hormone (-MSH), reduced mouse body weight and fat mass when mice were fed a normal diet. In light of the worldwide obesogenic environment, we will now test whether obesity and diabetes in these mice is exacerbated by a feeding a high-fat diet, and whether melanocortin hormone treatment can reverse obesity while animals feed on a high-fat diet. These studies should aid the development of improved tests and treatments for obesity and type 2 diabetes. Hearing loss affects 10-13% of New Zealanders and this prevalence will increase with the aging population. Exposure to noise and drugs toxic to the inner ear are major contributing factors to this disability. Prosthetic rehabilitation via hearing aids and cochlear implants is the only current treatment for hearing loss. Hence, it is essential to develop therapies that can ameliorate or repair injury to the delicate structures of the inner ear. We have shown that hearing loss in experimental animals exposed to traumatic noise can be substantially restored by administration of drugs acting on adenosine receptors. Here we propose a set of studies that will utilize transgenic mice that lack genes for the two main types of adenosine receptors found in the inner ear to assess their responses to aging, noise stress and drug toxicity. This is critical translational research for therapeutic management of noise, age and drug-induced hearing loss.